One of the best ways to reduce your tooling spend is to make use of industrial vending systems on your shop floor. You can ensure that tooling is available to your operators 24 hours a day without increasing workload for store managers or allowing a “free for all” attitude to be taken to stocked items. 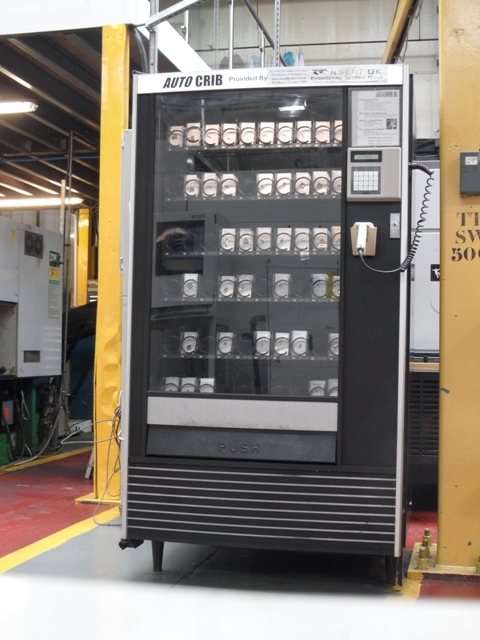 We manage an increasing number of vending machines for many of our regional customers. Upon installation our customers show on average an instant 30% reduction in their tooling spend (not great news for us, but brilliant for our customers!). Reduced tooling spend – single packed inserts means you no longer buy 10 at a time – you only pay for what you use! Our staff have over 10 years experience with vending solutions, and we feel we have found the perfect balance of machine and software for cutting tool supply. 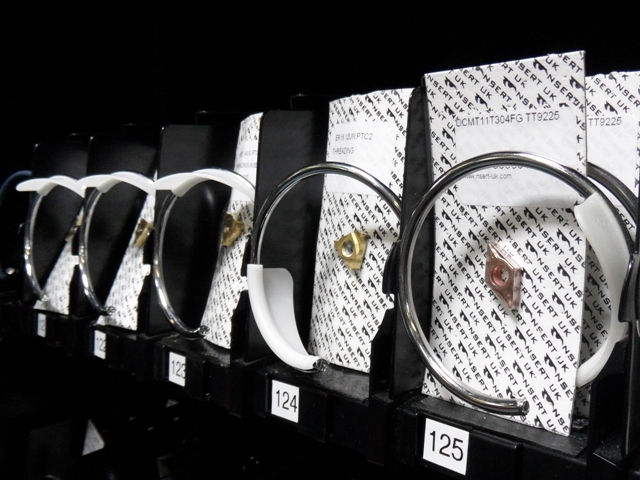 With our Autocrib driven RDS coil vending machines our customers can get the best of both worlds – an easy to understand and operate machine, driven by a heavily customisable software package. Our Autocrib machines use simple scroll based mechanisms with the minimum amount of moving parts to ensure improved reliability – free from the mechanical problems often found to occur in the more complex drawer based systems. Also, unlike other scroll driven machines the Autocrib software at the heart of our machines offers heavily customisable reporting and an almost unlimited amount of options for not just tracking tooling usages but also limiting access to more expensive items, limiting the number of issues an employee has access to over a specific period or even forcing the use of one item before another. Because we manage the stock in our machines you not only save the initial cost of keeping stock (you only pay after an item is issued) but you also reduce the amount of work your purchasing department has to do. No more raising orders to ensure you don’t run out of tooling, we receive daily automated email reports advising us of items nearing their minimum levels and we then restock the machine accordingly. We only produce one invoice a month (or week if preferred) to further save admin processing time for your employees. We have trained software experts who will customise reports to suit your specific requirements and you can have reports generated automatically via email or delivered whenever you require them. Because of this advanced software system we can also tailor a continual improvement program that targets your most expensive usages first – and concentrate on optimising the efficiency of your production which will save you over 60% more on average than a 10% reduction in your current tooling spend. We’re so confident that you’ll be happy with the savings we can provide that we don’t even require a supply contract to be signed. We will install and manage your vending machines only as long as you’re happy for us to do so, no two year deals, no fixed terms, we will continually seek to improve your production speed and efficiency using the latest technology the cutting tool industry has to offer. If you think you could benefit from our advanced stock management solutions please get in contact and we will be happy to arrange a visit from one of our sales engineers.